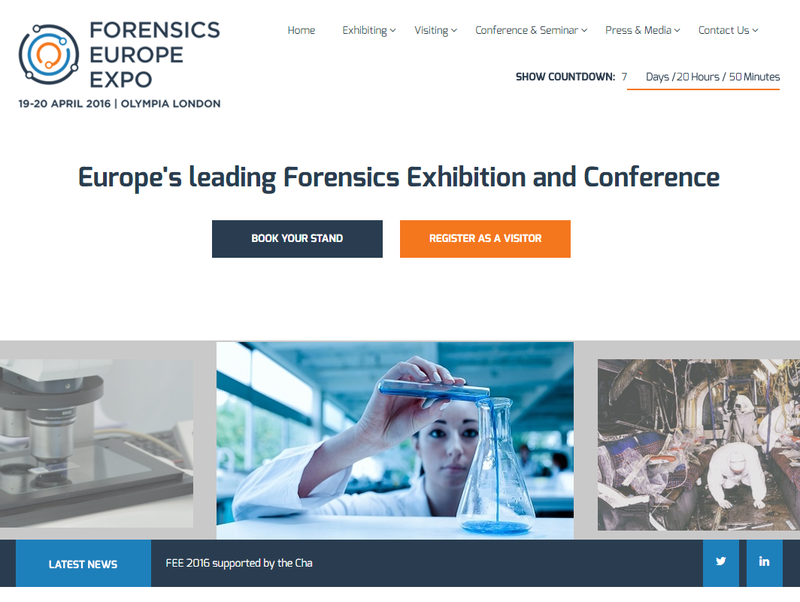 For the third year in a row, we’ll be at Forensics Europe Expo, which is one of our favorite event of the year. As usual we’ll be at the booth 1D21, right in front of the entrance. The show will be in Olympia, London (UK) on 19-20 April 2016. This year we have several seminars and workshops, that are of particular interest for anyone who is working in the image and video forensics field. We are surrounded by moving images. What was once reserved to the big tube in the corner of a lounge, video can now be captured and presented on hundreds of devices, at a click of a button. For a funny cat video, or the latest episode of your favourite drama, understanding the data behind the image, and the changes occurred, may not be of high importance. But how about the Video Surveillance System footage of an armed robbery, a fatal road collision, or a suspected terrorist? Is it important to deal with that footage in just the same way as you would traditional forensic evidence such as DNA? Contamination of the digital data occurs when it is mishandled and incorrectly processed. As a result, could it be misinterpreted? Will the contamination affect the analyst’s ability to identify fact? Forensic Video Analysis is a lot more than simply copying a Video to DVD. It’s more than just a Video – It’s evidence and should be treated as such. The need to authenticate images and videos is growing immensely these days and the techniques to perform this analysis are rapidly evolving. This workshop will demonstrate the current tools available in Amped Authenticate, the leading software for forensic image authentication, and an exclusive preview on the new tools for video authentication and light and shadows analysis. You’ve seen it over and over in famous TV shows like CSI. Using technology to magically “enhance” low quality videos. Video analysis is one of the most fascinating fields of digital and media forensics, but there’s much more to it than simply enhancing a picture. This workshop will tell you the truth about video analysis and provide a summary of all the steps needed to get evidence out of the source (typically a digital video recorder), extract parts of interest, properly enhance them, take measurements, and prepare the results for presentation in the courtroom. The full workflow can be managed with the software Amped FIVE, which is being used daily by top law enforcement forensic labs worldwide. You can see the full program of the conference here and of the seminars here. You can register for the show here. See you next week in Olympia! This entry was posted in Announcements, Events on April 12, 2016 by Martino Jerian.